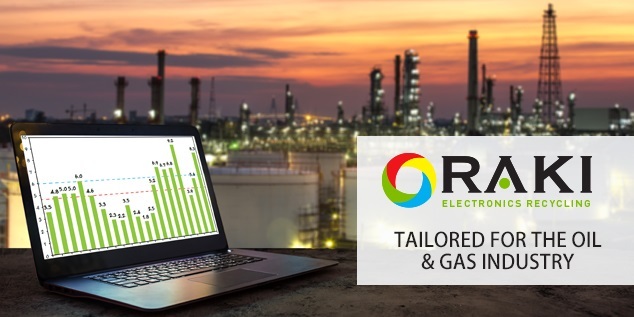 RAKI works with businesses in the oil & gas industry to find secure, efficient and compliant recycling and data destruction solutions for professional services through the United States. On-site, offsite and walk-in service is available. Welcome to OTC 2017 Home Page!!! R.A.K.I. Computers is proud to be exhibiting at OTC 2017 for the second straight year! 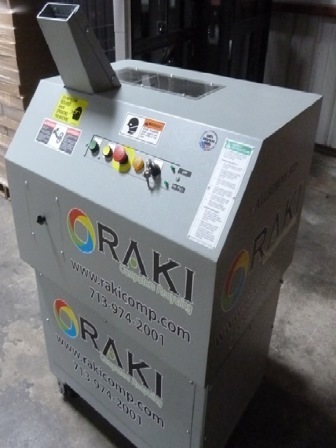 Whether you require on-site data destruction or equipment pick-up, RAKI receives, evaluates, and recycles all your electronics to your specifications, in line with responsible environmental guidelines. We offer local service, quick pick-ups, walk-in, and drop-off. We look forward to seeing you there. Come and meet the owners and staff of R.A.K.I. Make Appointment Today to discuss your needs. Stop by our booth and let’s talk about how we can handle all your E-waste disposal needs. R.A.K.I. can now physically shred your hard drives on site! We can pick up your E-Waste from anywhere in the world. Have electronic equipment to recycle? Get started by sending us an inventory list or scope of work (below). We send you a competitive quote for pickup and recycling. We work with you to schedule a convenient time for pickup. Based on your job request and terms, you will receive a complete set of documentation for settlement.